ABS-CBN's Mahiwagang Black Box - Triple Joys!!! Tthankfully, ABS-CBN already released their black box, also referred as the "Mahiwagang Black Box"! Immediately, I purchased a unit of the black box at SM Appliance Center in SM Manila. Each unit costs P2,500.00. Not bad considering that there will be no monthly fees to be paid, right?! So, here, join me in unboxing the Mahiwagang Black Box! 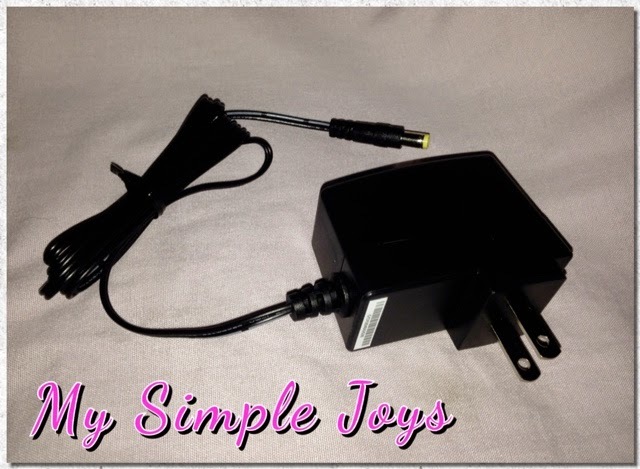 This small but powerful black box is made using Sony technology, thus, you can really be assured of its quality, durability and performance. 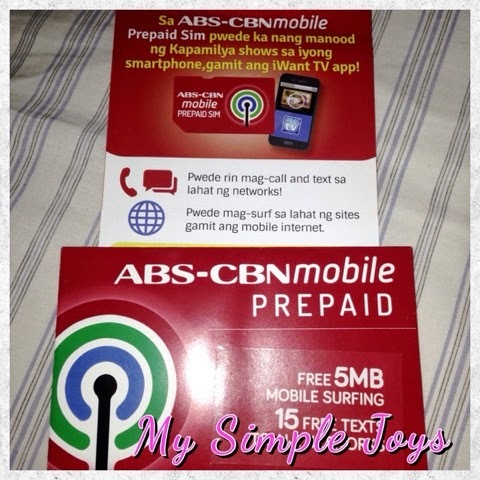 Each unit also comes with a free ABS-CBN Mobile Sim Card which you can use in registering your unit. It comes with a free load and free data use. Yey! So how's my TV viewing experience now?! Great! 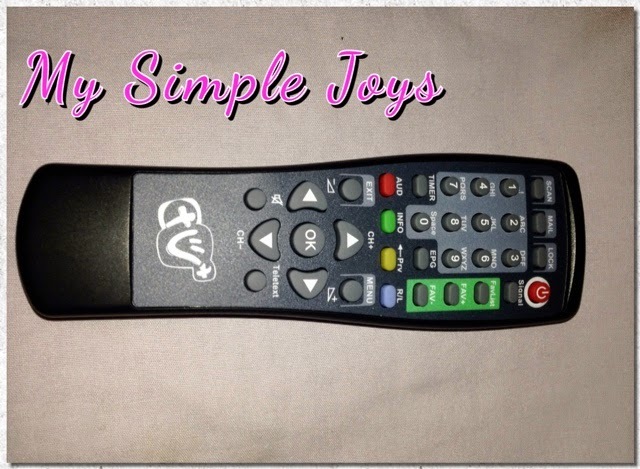 Now, I can enjoy all my favorite Kapamilya shows and series with no hassles and blurs. This channel broadcasts nationwide sports coverages, from UAAP, PCCL, World-class Billiards, Philippine Football, FIBA, Top Rank Boxing at NBA. The leading news program which airs the live TV broadcast of all-day news, information, commentary, and public service programs from the leading AM radio station DZMM Radyo Patrol Sais Trenta. This is the very first all-day movie channel on free-digital-TV where you can watch featured blockbuster movies of FPJ and Dolphy, as well as movies of Robin Padilla, Ramon and Bong Revilla, TVJ, Steven Seagal, Van Damme, Sylvester Stallone and Jackie Chan. The first all-day kid’s channel on free-digital-TV, which features blockbuster movies, cartoons, kid-friendly movies, cartoons and animes in tagalize versions. The only curriculum-based channel on TV, which airs programs which passed the approval of the Department of Education suitable for primary and secondary students. 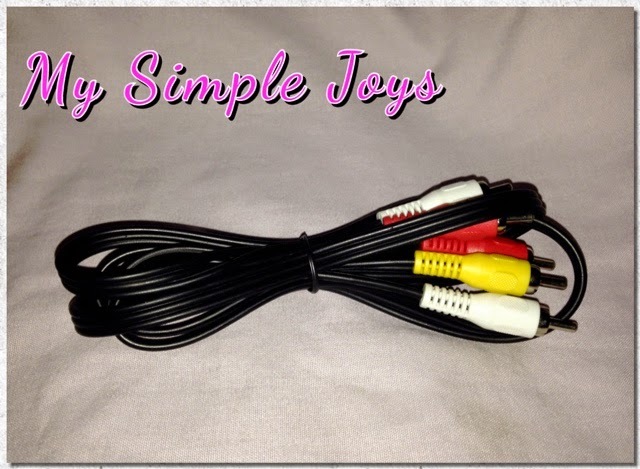 The black box is compatible and be connected in any type of television, as long as it has an AV input. 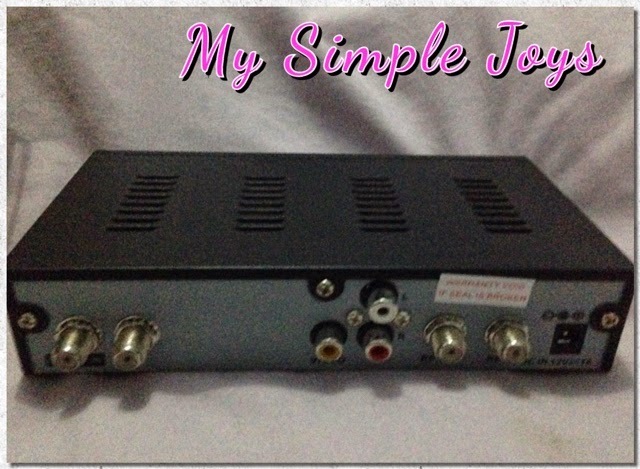 According to the ABS-CBN's officials, this black box is likewise capable of receiving channels outside the ABS-CBN group. It can pick up the transmission of all free-to-air channels, but only if the said networks are offering digital services. Thanks to Sky Cable for partnering with ABS-CBN, thus, making crystal clear viewing a reality! 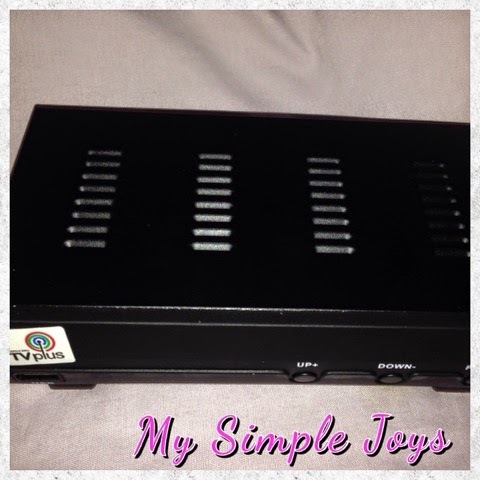 So far, with the indoor antenna included in the kit, the black box can only pick up the channels within the ABS-CBN Group (as these are really their priorities). I haven't connected it yet to an outdoor antenna. Hopefully, once done, the black box can likewise receive other channels. To ensure that your TV Plus is legit, look for the ABS-CBN sticker/seal (pictured below). Also, do not forget to register your unit for your Instant Warranty Activation! ABS-CBN TVplus is initially available where digital signal transmission is currently available, such as Metro Manila, Rizal, Cavite, Laguna, Bulacan, Pampanga, Nueva Ecija, Tarlac, Pangasinan, Benguet, and Metro Cebu. So what are you waiting for? Grab your Mahiwagang Black Box now! 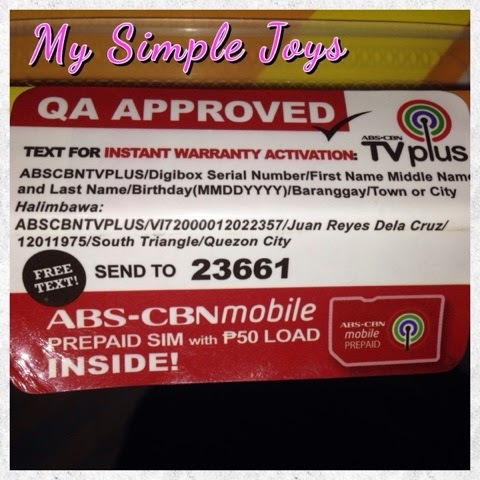 You can buy the TVplus in ABS-CBN Store, ABS-CBNmobile Store, SM Appliance Centers, 2Go Express, Solid Service Center (Sony Authorized Service Channel), Villman, Silicon Valley and other electronic, appliance and hardware stores. Authorized ABS-CBN TVplus sales agents will also be selling house-to-house. 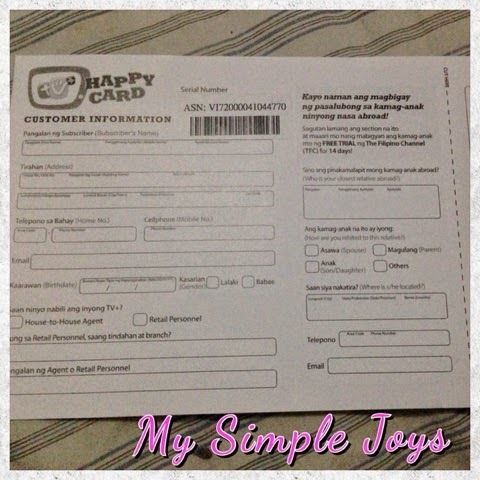 Consumers may also purchase it online by visiting www.abs-cbnstore.com, or calling (632) 488-8888 and 1800-10-4888888 (outside Metro Manila), or sending a text message to 23661. 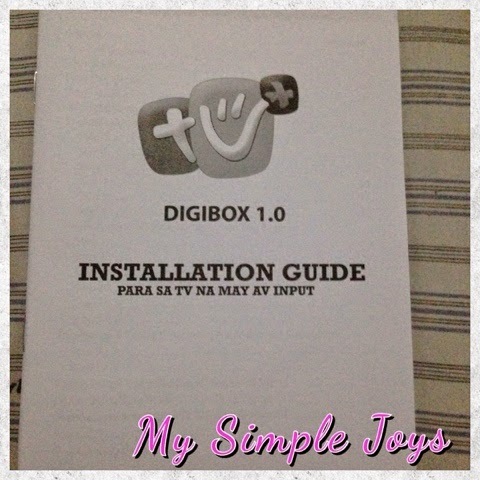 The box will be delivered via LBC and 2G0, free of charge within the area of digital coverage. It is an interesting product, but we already have cable connection so medyo over na if we also have this. But your channel's reception is really clear! We have no tv, well, not turning on the tv for more than a year na! I miss watching sometimes that's why i head to iwanttv. Hehehe. This will be a good idea if you are into limited tv time instead of the monthly cable subscription. bumili ako ng blackbox kanina. tapos nireregister ko ayaw naman. lagi sinasabi : " ABS-CBN TV Plus: Hi Kapamilya! Salamat po sa interest ninyo sa ABS-CBN TV plus. Ito po ay available na sa SM Appliance, Abenson, Puregold, Handyman, Automatic, Western Appliances, Silicon Valley, Lazada, Octagon, Villman, PC Express, Boardwalk, Thinking Tools, Complink, Ambassador, SolidService Center, 2Go, Magic Appliance & Landmark sa halagang P2,500. Salamat po. This message is free of charge." paano po gagawin ko para magamit ko ung ibang channels? salamat!